95% of CalcFeeders ordered by Customers (not in USA, bot overall) are PRO versions. so who ordered one of these? other then me of course. I ordered one. Looks like we're still a few weeks out. I'd say maybe even a month. Last edited by Przemek_PacSun; 10/27/2016 at 02:40 PM. I'm interested in how this pans out. I have 2 part dosed for along time, I have used a couple different brands of reactors in the past and spent more time fighting with them than adding calcium and alk to the system. I swore I would never go back to a reactor until I researched some of my favorite tanks from Europe. Most of my favorites use the Dastaco and was leaning that way until I saw the limited support here in the states and the price tag. This model intrigues me and will be waiting to see how everything works out. Please keep us updated!! Anyone get a shipping confirmation? Please ignore my ignorance but how do you increase or decrease the CA and Alk of your tank with these? My assumption is you ramp up or down the amount of water the pump is pushing through. 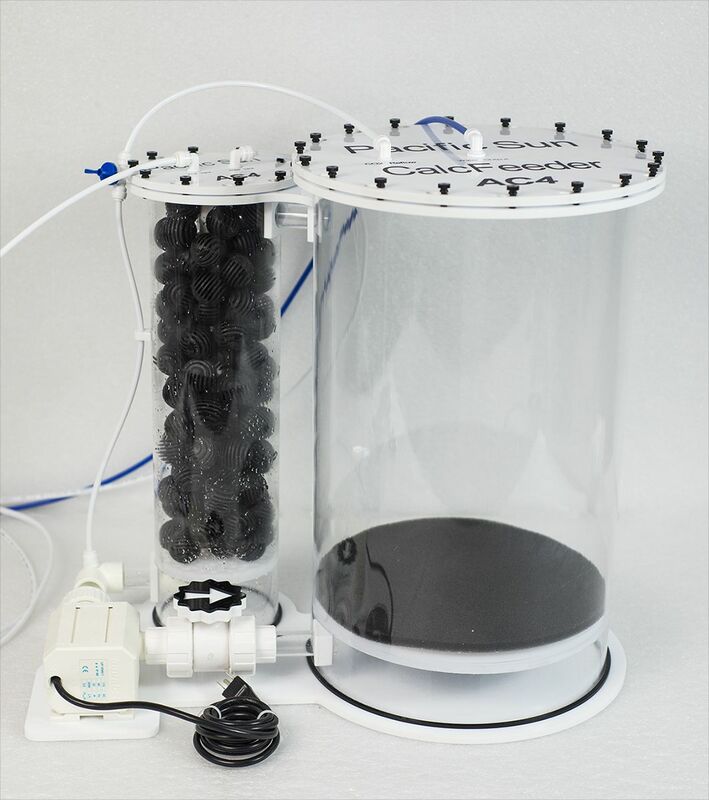 I've never used a calcium reactor but stumbled across this thread and this appears less complicated than other reactors so I'm intrigued. What is so complicated on a calcium reactor? I have never found it complicated. If you get a good regulator, there are only 2 things to adjust. First Customers started receiving their tracking numbers - so all you guys should get them soon also. All orders are proceed in FIFO policy, due 3 week delay with controllers for PRO version we had to postpone some shipments. Calcium reactors(any - like our, classic etc) can't be used for regulating Ca/kH levels independently. Before you will start calcium reactor you need to adjust levels of Ca/Alk and reactor will dissolve media - increasing calcium/alkalinity proportionally. 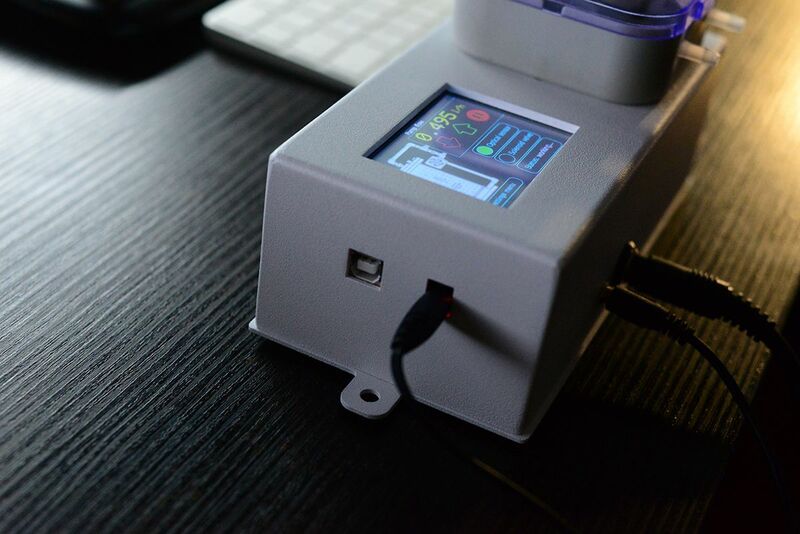 Main difference between CalcFeeders PRO and other reactors are method of controlling dissolved carbon dioxide - and additional very precise dosing pump included in set(with touch screen and included computer for switching on/off solenoid valve in correlation with special version of optical sensor readings(in co2 mixing chamber). And if you don't get a good regulator how many things are there to adjust? You didn't answer my question but boasted your complete understanding of reactors. What I'm not understanding is how do you control your levels, e.g. you turn on the reactor for the first time and it shoots your calcium up over night. Do you use a timer to only have it only a certain number of hours a day once you've established a baseline or is it based on the flow rate through the reactor? I found photos from my reactor setup and Pro controller on the desktop. As you can see LCD screen is very simply - you can increase/decrease flow thru pump(it's step motor pump) and you can see status of optical sensor/solenoid valve. 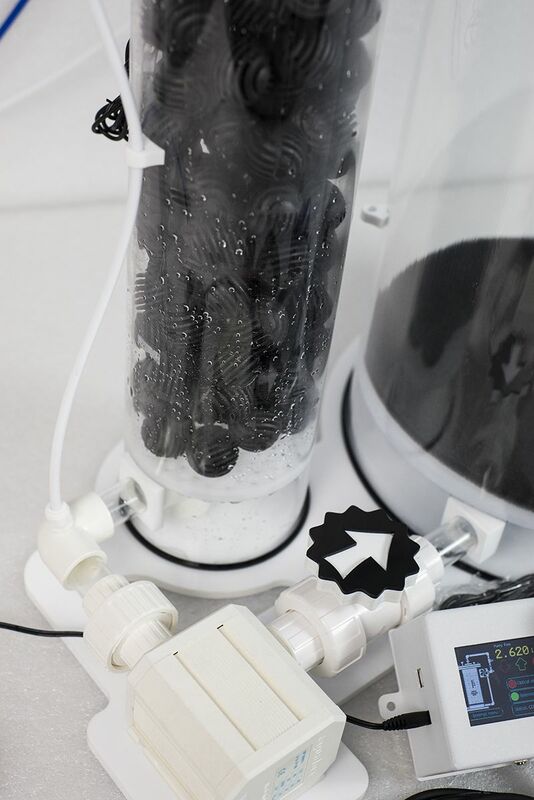 If your corals start growing and calcium / alkalinity levels will drop, you simply need to increase flow on dosing pump. Of course, it have several protections like empty CO2 bottle alarm(sound alarm also), you can perform a software update by built-in USB port(app is actually available on Mac OS and Windows). 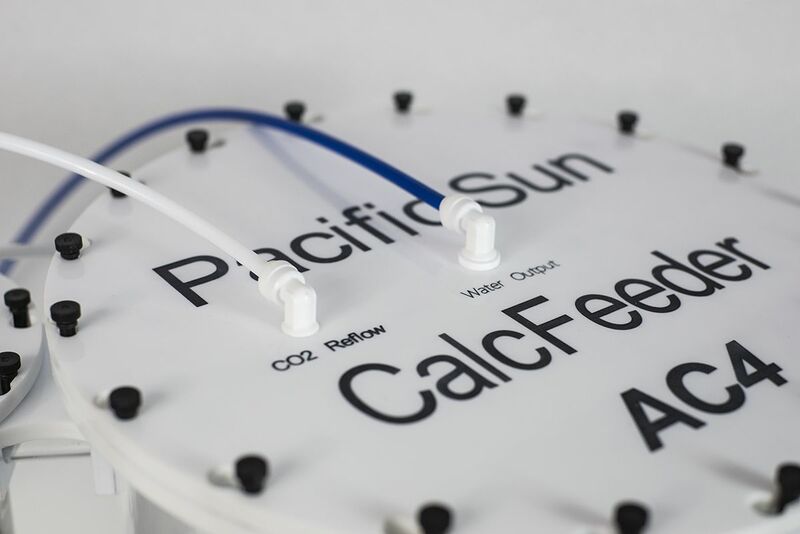 I think that using calcium rector(a specially that CalcFeeder PRO) is one of easiest methods supplementing tank with Calcium and keeping stable alkalinity levels.. There is no pH probe , so not needed calibration every few months, no needed pH computer/controller etc. You are getting ready to use set - only CO2 bottle and regulator(we suggest not buying cheapest ones - they usually don't keep stable pressure on output) - is everything what you need. Last edited by Przemek_PacSun; 11/07/2016 at 03:40 PM. Thanks, I believe that answered my question! I didn't realize it was the flow rate that you adjust to increase or decrease the levels in the tank. It does seem very easy compared to how I understand other reactors to work. Yes, controller take care about proper pH level in reaction chmaber(low pH can dissolve calcium media). Water circulate between main reaction chamber and mixing Co2 chamber keeping pH stable and water rich in calcium /high alkalinity. Changing flow thru pump you increase/decrease calcium/alk levels in aquariums(because they are correlated together ). This really looks like a piece of art! Any videos available? Cheap regulators make it hard to maintain a steady CO2 rate. I prefer a regulator that the pressure is preset from the factory. At that point, the only thing to measure is the bubble rate. IMO, a calcium reactor is at it's best in maintaining your levels. You get your tank to the levels you want and use the reactor to maintain. Once you understand how to get and maintain the proper ph in the reactor, the only other challenge is maintaining the proper effluent to maintain you levels. If you have a good regulator, once you get the proper ph in the reactor, the only thing left to adjust is the effluent output. It's a balance that takes a bit of trial and error but once it is set, it is simple. IMO, it is easier than dosing, however some may disagree. Using a ph probe in the reactor definitely makes the tuning easier. Personally I prefer to tune the reactor to only rely on the solenoid as a back up. From what I see, the PacSun gets rid of the intimidation of dialing in the CO2 rate. 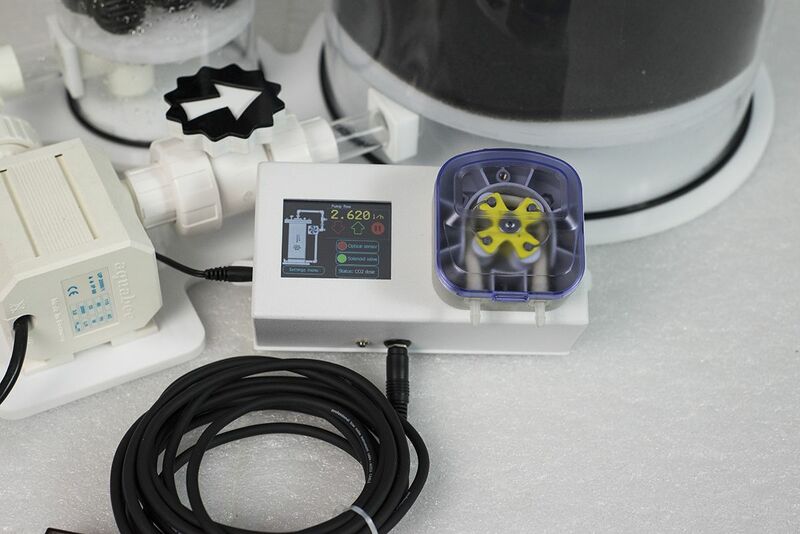 It also gets rid of the biggest problem calcium reactor users face by giving you a reliable output due to the addition of a peristaltic pump. I think this is starting to make sense to me now and I see what you mean by there are really only two things to dial in. I guess it was the multiple steps in dialing it that felt complicated to me and I thought it was actually things you had to individually control at all times. Although I'm not sure what you mean by preferring to tune the reactor and only rely on the solenoid as a back up. I believe this means that you are keeping the output rate low enough so that the solenoid is always on and doesn't need to shut off unless something happens. That photos came from your unit, hope you will enjoy it. I sure will i have a few other things i am doing with the tank as well and want to go slow with the changes of certain equipment and the affects on the ton of sps corals i am keeping.i Will let ya know. 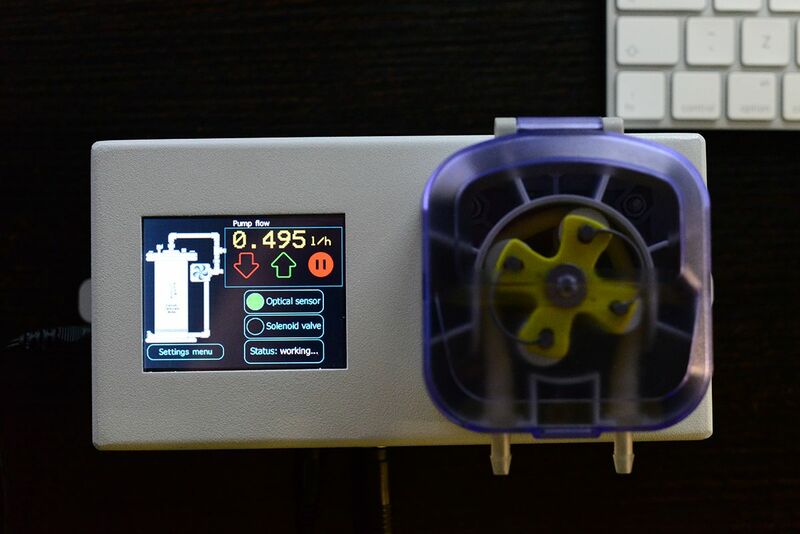 Just received my Calc feeder pro unit model AC 4 with degassing Chamber from fed ex and it was packaged perfectly!!! opened the boxes and wow this thing is huge! its def a quality product and again packaged very very well so if your looking to purchase one no worries on the shipping from poland. here are some photos i took of it when it arrived and when i took items from box. Last edited by Dino; 03/31/2018 at 10:35 AM.